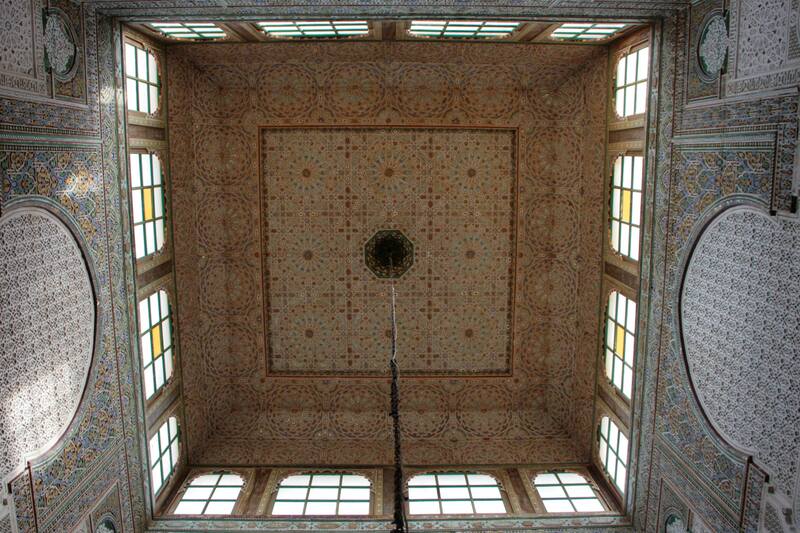 The mausoleum of Moulay Ismail is one of the only sacred buildings in Morocco that can be visited by non-Muslims. In the 17th century, Moulay Ismail elevated the city of Meknès to a imperial capital in his 55-year reign from 1672 and built a vast royal palace, enormous fortifications and monumental gates. He is generally considered to be one of the greatest figures in Moroccan history, despite his extreme despotism; his reign was marked by bloody campaigns of pacification, countless grisly deaths and the employment of tens of thousands of slaves to build his vast monuments in Meknès. 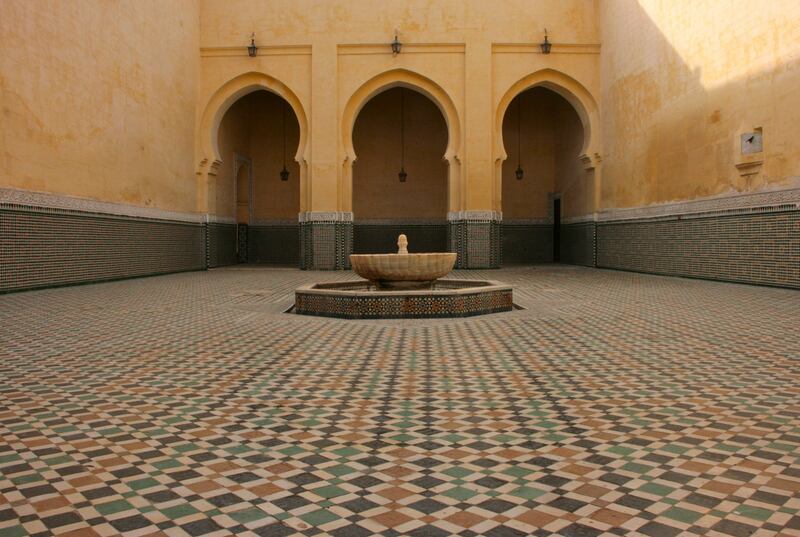 By contrast, the mausoleum of Moulay Ismail is a remarkably peaceful series of spaces, divided into squares. On entering the building through a tiny door, one comes into a dark square room, intricately decorated but barely lit. 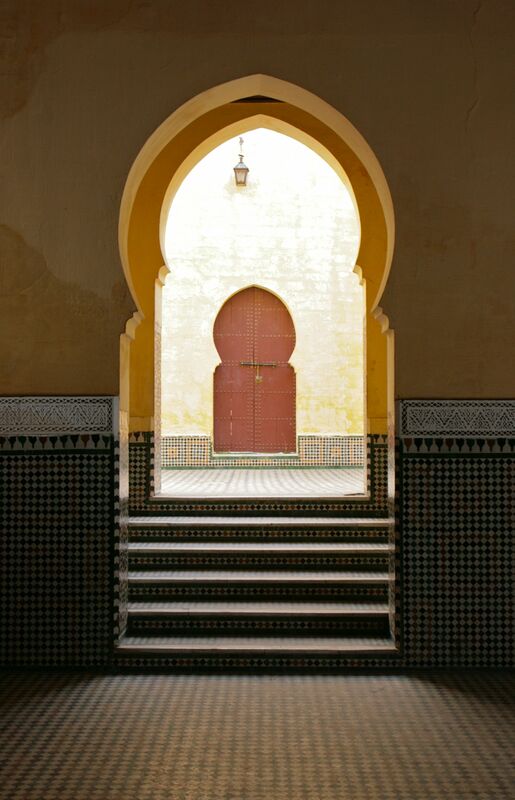 Ascending a small flight of stairs, you enter into an unroofed space of light, covered in coloured square tiles that one sees in almost every significant Islamic building. Up another flight of stairs, you walk through an almost identical square room, completely bare apart from the mesmerising tiles covering the floor and part of the wall. Ascending more steps into an arcaded room, seemingly lighter again, one eventually enters the mausoleum itself – a square room filled with light, with all surfaces decorated with carving or tiles and, in the centre, a fountain ceaselessly playing its soft watery music. 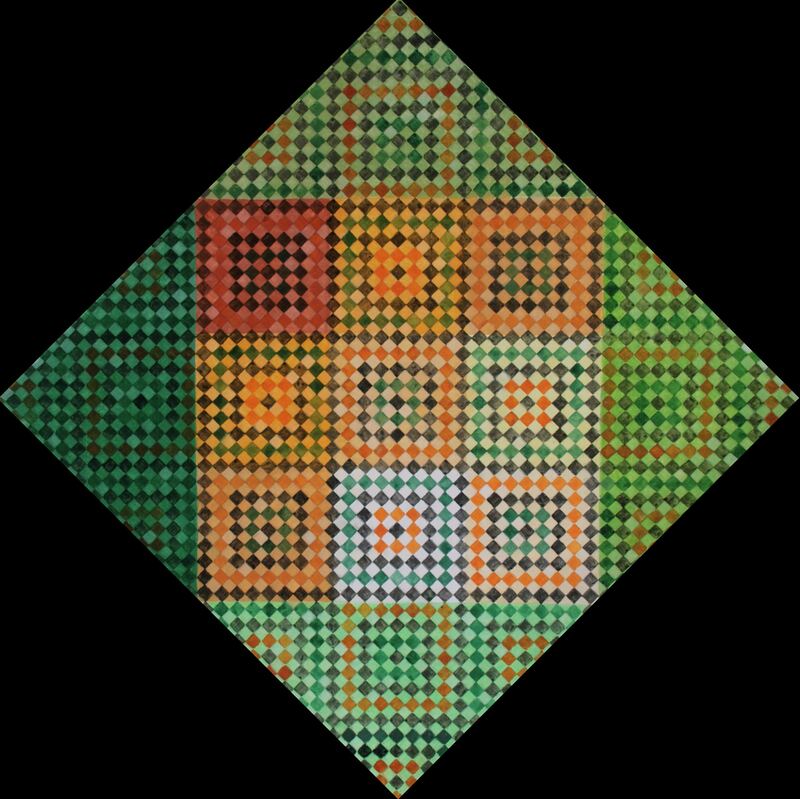 This mausoleum represents a simple use of a labyrinth as the guiding spatial principle. The visitor is gently led on a single route through the spaces in an ascending path to the heavens. 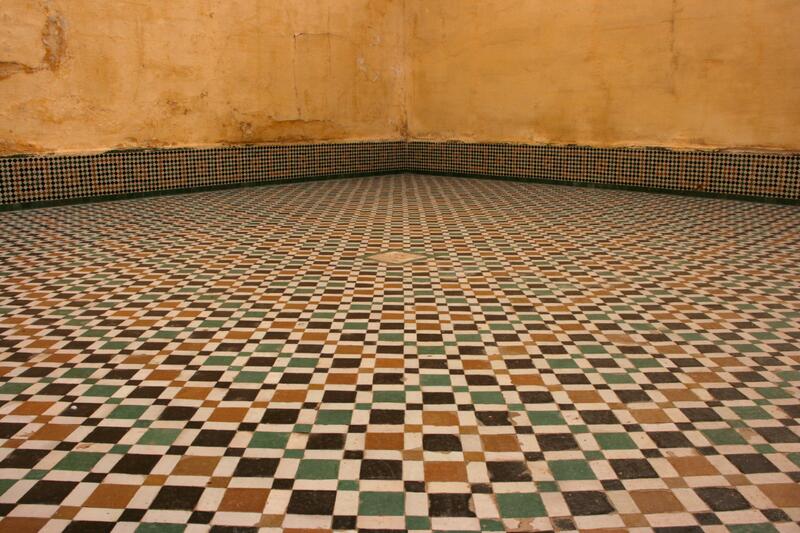 In contrast to the secular commercial labyrinth of the medina of Fes, this is the sacred labyrinth that directs the pilgrim on a path to enlightenment: a spatial guide from earth to heaven. 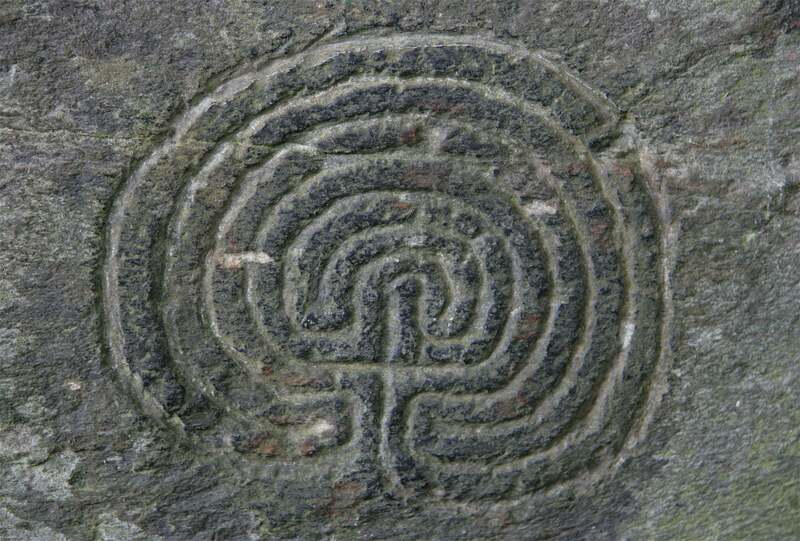 Its use predates the rise of the monotheistic religions, as indicated in these carvings in Cornwall, which date from the Bronze Age, or around 1500 B.C.E. 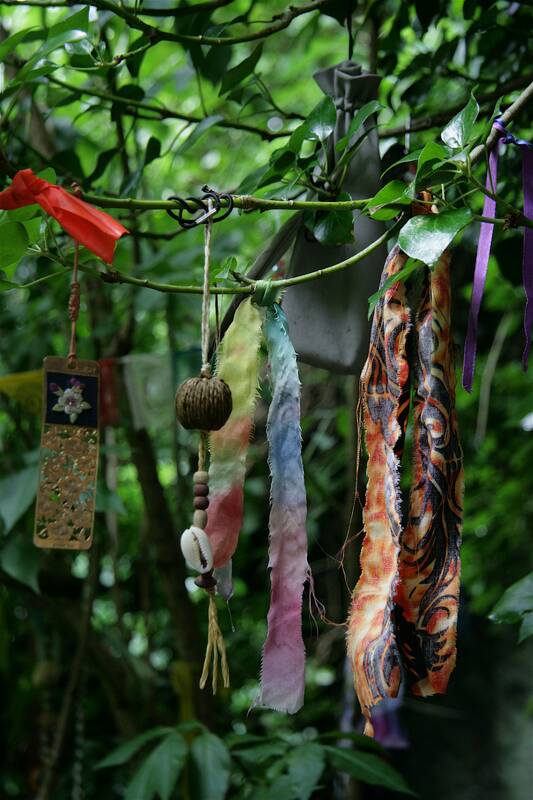 As if linking continents and cultures across space and time, the carved labyrinth in this isolated Cornish valley is accompanied by contemporary offerings to the gods: words inscribed on slate and coloured fabric and trinkets hanging from the trees. Thanks for this info. So, they are fakes really? Interesting…any idea why they were made to look like bronze age carvings?